The Federal Government of Nigeria designed N-Power Programme to drastically reduce youth unemployment. The focus is to provide our young graduates and non-graduates with the skills, tools and livelihood to enable them advance from unemployment to employment, entrepreneurship and innovation. The first phase of N-Power will target Nigeria’s critical needs in education, agriculture, technology, creative, construction and artisanal industries. 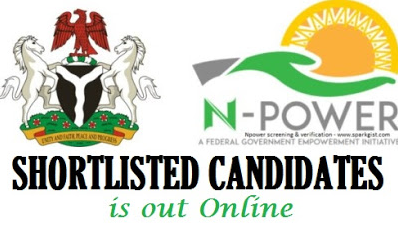 In our next post, we will share to you the procedures or steps to check if you are among the successful applicants for N-Power second phase of its Volunteer Corps Programme.